The mining and explosives industries are among the most heavily regulated and scrutinized industries in operation today. 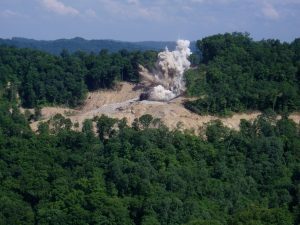 Due to the abundance of natural resources available in Kentucky, the extraction of coal, limestone and other minerals continues to be a necessary and important component of the state’s economy. An inevitable consequence of mining’s prevalence and its perception among the general public is the frequent complaints and claims of damage filed by third-party property owners and residents who may express opposition to the mining process. What begins as one isolated complaint can quickly escalate to a situation with dozens of residents collectively presenting a variety of claims. Persistent complaints often create additional issues for a mine operation’s regulatory licensing and approval. At Schiller Barnes Maloney PLLC, our attorneys have extensive knowledge and experience in defending mine owners/operators, blasting contractors, road contractors, project owners, and explosives manufacturers as well as their insurers against a wide range of claims and litigation stemming from mining activities and the use of explosives. Our attorneys have particular expertise in defending clients in direct-action lawsuits prosecuted by large groups of entire communities situated near mine sites, roadway construction and land development projects. We routinely oversee all aspects of the defense of injury and damage claims relating to mining, construction, and general explosives applications. In addition to the defense of matters in litigation, SBM’s services include advising clients on a wide range of topics relating to their daily operations such as risk management, contract review and drafting, regulatory oversight and enforcement matters, and effective public relations procedures.